Vicomte De Valmont (1985). Alan as Vicomte De Valmont in the play "Les Liaisons Dangereuses" (1985). The producer of Die Hard saw him in New York on stage & was so impressed that he hired him for the part of Hans Gruber!. Wallpaper and background images in the alan rickman club tagged: alan rickman rickman alan die hard 1985 stage new york. 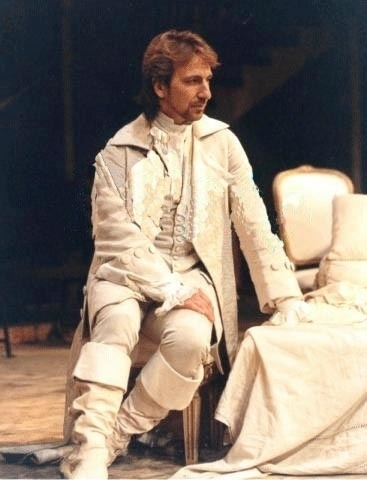 Alan as Vicomte De Valmont in the play "Les Liaisons Dangereuses" (1985). The producer of Die Hard saw him in New York on stage & was so impressed that he hired him for the part of Hans Gruber!